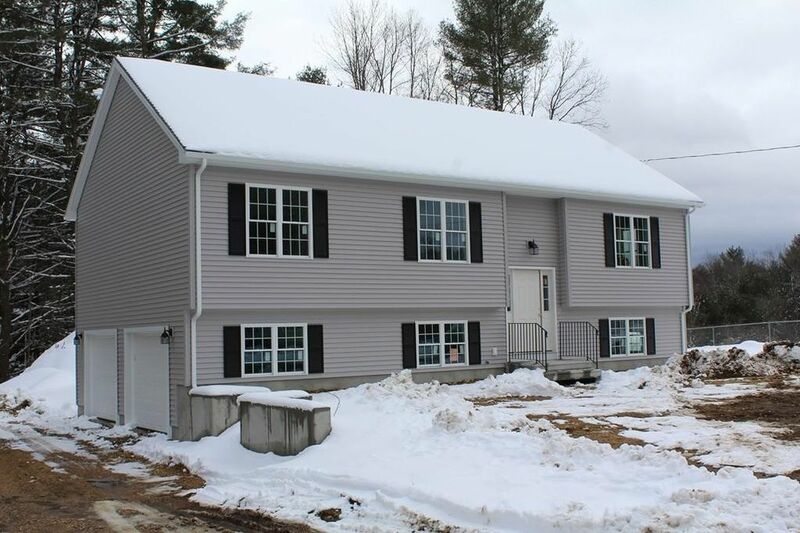 Quality construction throughout in this new 3 bedroom Split Entry home. Very energy efficient with Harvey windows, high efficiency propane boiler and built/insulated to the new energy code. Hardwoods throughout the living area with cathedral ceiling in the living room/dining room/kitchen area, granite kitchen countertops on white cabinets with island and tile bathroom floors. Bedrooms and lower level family room will have carpet. Two baths including master bath with shower, laundry in lower level. Spacious 15'x25' lower level family room with plenty of windows for natural lighting. 12' x 12' pressure treated rear deck with stairs to back yard. Convenient commute either towards Worcester or Springfield.